It has been 12 years since the Charmed Ones have been on TV using magic and fighting demons. Now, three new sisters will try to keep their witch and normal lives separate as they protect innocents. 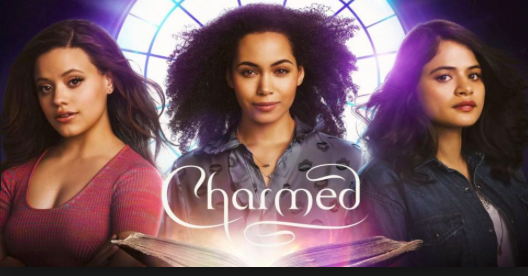 This Charmed series will take place in Hilltowne, Michigan, and after their mothers’ death and meeting a secret sister their powers surface. Now it is time to meet the Charmed Ones who have the “Power of Three”. Has her PH.D. in molecular genetics and just started to work at the university where her boyfriend, who is also a scientist, works with her. She is the older half-sister of Mel and Maggie that was given up for adoption. She has the power of telekinesis, Macy will use her science background to try to explain any of this is possible. She is the middle sister and used to be the oldest so, you can imagine there will be some sisterly spats in the future. Mel, a graduate student in the Women’s Studies department which seems fitting, is also described as a feminist and outspoken activist. Has an on/off again relationship with a female detective. Mel’s power is the power to freeze things, she takes the news of being a witch very well. Is a freshman at the university, it is unclear what she is studying towards. She is the youngest sister of the three. All Maggie wants is to fit in, including pledging to a sorority and being involved. Mel has the power of telepathy, she can hear people’s thoughts when she touches them. Because all she wants is to fit in, she does not take finding out she is a witch very well. How will the sisters handle their new powers? What kind of evils will they face? Charmed premieres Sunday, October 14. Previous story “Ant-Man And The Wasp” Available on Digital Today!